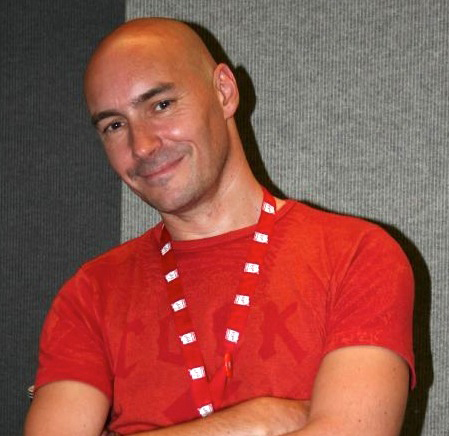 Grant Morrison, MBE is a Scottish comic book writer and playwright. He is known for his nonlinear narratives and countercultural leanings in his runs on titles including DC Comics' Animal Man, Batman, JLA, Action Comics, All-Star Superman, and Doom Patrol; Vertigo's The Invisibles; Marvel Comics' New X-Men and Marvel Boy; and Fleetway's 2000 AD. He is also the co-creator of the Syfy TV series Happy! starring Christopher Meloni and Patton Oswalt.